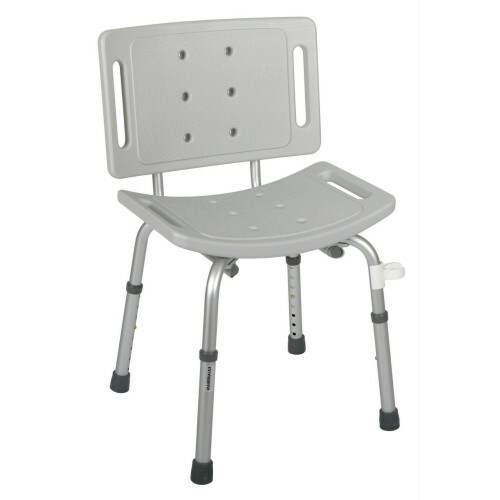 Medline's Bath Bench with Back features an aluminum frame which is lightweight, durable and corrosion-proof. The crossbrace has been attached with aircraft-type rivets, allowing the bench to support up to 250 lbs. The bath bench has drainage holes in the seat and back to reduce water build-up and to maintain a safe surface. Please note that some assembly will be required for this item.